In Tune with Your Immune System is a presentation that compares the human immune system to a rock band and all the parts need to function to make great music. 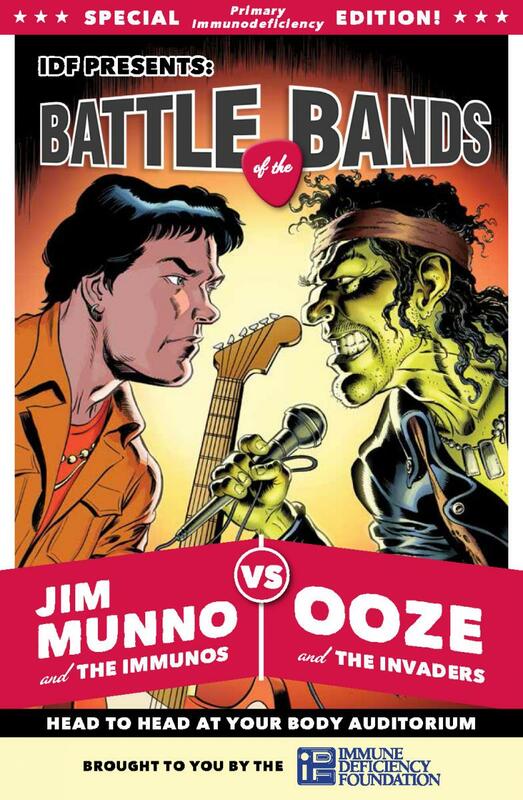 In Tune with Your Immune System inspired the "Battle of the Bands" comic book. Click here to download the comic book or click here to order a copy.